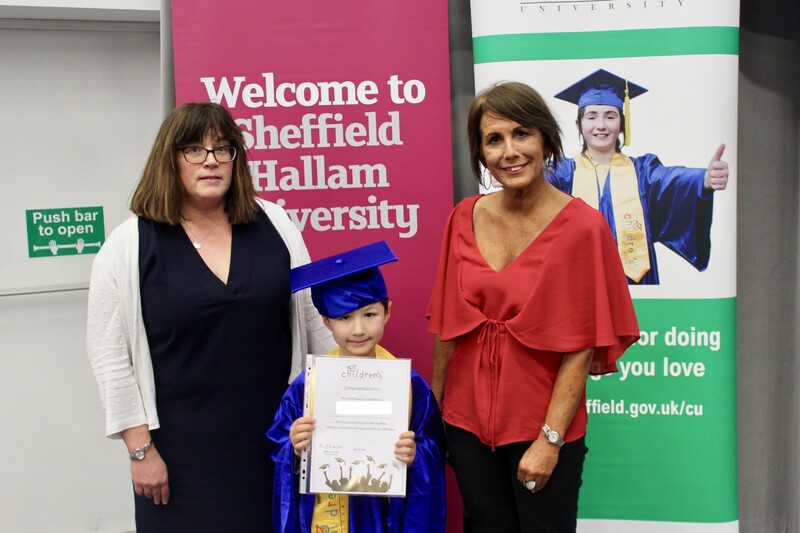 Sheffield Children’s University (CU) encourages and celebrates participation in learning opportunities outside school. Royd Nursery Infant School is a Children’s University subscriber and children will earn CU credits for all extra-curricular activities attended. Every child was given a cap and gown before being presented with their award. they also received a report which outlines their activities and accounts for each hour they have spent learning out of school. This report can become part of their record of achievement and evidences the learning they have taken part in out of school hours, which can be important when they begin to apply to further education or seek employment.